This little beast loves to grip and rip. 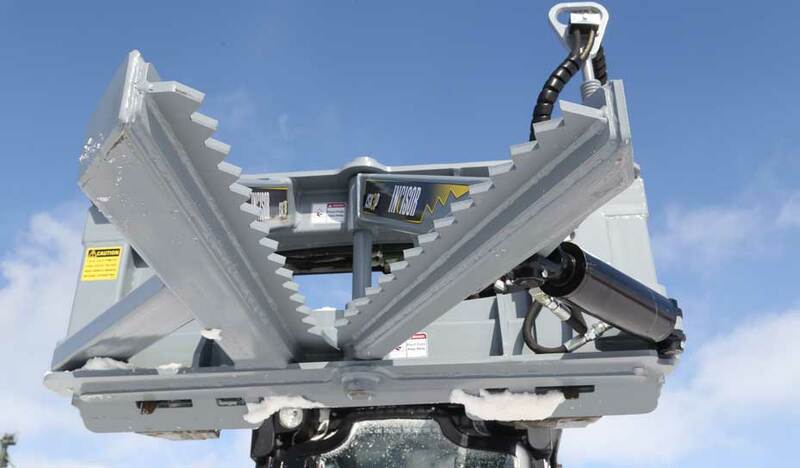 The Incisor tree puller ISH3P is designed to grab hold and pull small trees out roots and all. By getting the roots and all, regrowth is greatly reduced. Clear an entire area, or selectively remove troublesome saplings from the comfort of your cab. The strong metal frame and teeth are ready to tackle sapling up to 4 inch in diameter. 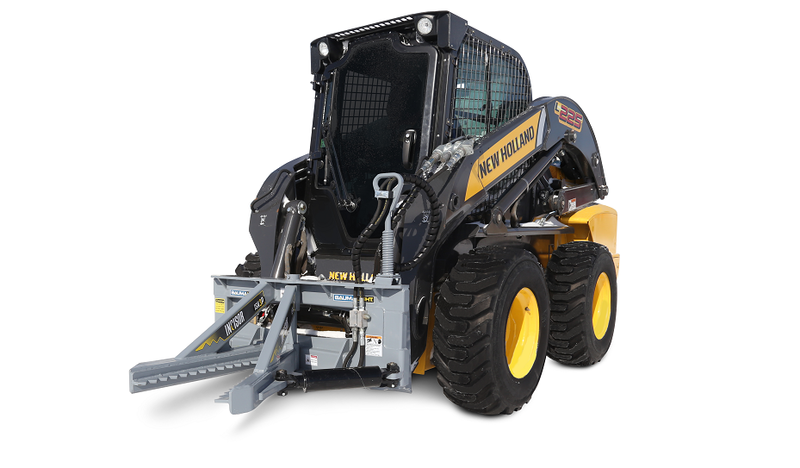 The hydraulic jaw holds the trees tight while your skidsteer arms let you uproot unwanted saplings quickly and cleanly. You can also gather and pick up the saplings using the jaw for easier clean up after you are finished.